Avoid the frustration of being told "there's nothing wrong" when standard labs fail to identify underlying causes of your chronic symptoms. At FoRM, we dig a little deeper to reveal hidden obstacles to your well-being. Based on the latest research, these advanced diagnostic techniques helps us create targeted treatment plans, formulated just for you. 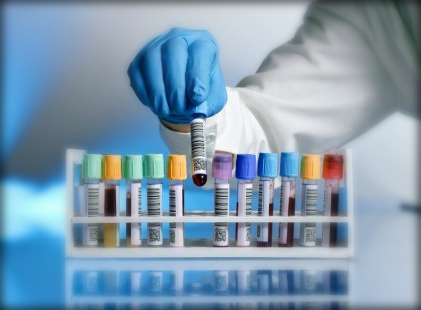 Specialty lab testing (often not covered by insurance) can be combined with standard laboratory testing (typically covered by insurance) to provide us with the most complete picture of your health. "Dr. Herman was the first physician I had seen who listened to my whole heath history and wanted to help me get my health back on track. She worked with me to determine the source of my health issues. Dr. Herman utilized diet, herbs & nutritional supplements to improve my health. Now, thanks to Dr. Herman, I have energy, my digestive issues are gone and I haven’t caught a cold in months! I refer all of my family and friends to Dr. Herman because she is amazing!" "I am so thankful for Dr. Minarik! He found my problem immediately after having gone undiagnosed for years. Dr. Minarik prescribed a strict diet, a few supplements and he worked with me to keep medication to a minimum. After only 6 months my diabetes is under control. I only wish I would have found him sooner".